Dandelions are quietly fierce with strong roots that strive to break into hard ground, reaching for nutrients and life despite adverse circumstance. This vivacious and tenacious quality is part of the medicine dandelion offers us. Imbued with a strength and lust for life, dandelion imparts this strength to our bodies. Dandelion helps to gently alleviate weakness in the liver and kidneys while providing nourishing vitamins and minerals thereby strengthening the whole body. Being high in vitamin A, potassium, calcium, magnesium, folic acid, iron, and vitamin C, dandelion is a super food extraordinaire! This modest yet powerful little plant is often accursed by modern gardeners. We would be wise to embrace it’s many virtues and cultivate rather than fight it’s existence in our world. Dandelion’s latin name is a testament to it’s amazing healing abilities. Taraxos means disorder and officinale indicates that this amazing plant is considered to be an official medicinal plant, translated Taraxacum officinale means “The Official Remedy for Disorders.” And indeed this is a fitting name! Dandelion’s bitter taste, found in both the leaves and the roots, stimulates the entire digestive tract enhancing secretions. This action helps support healthy digestion. As a digestive bitter dandelion also stimulates the appetite. It’s cholagogue action is used by herbalists to increase bile production and secretion thereby aiding in fat digestion; acting as a mild laxative; and cleansing the whole hepatic system. It helps those suffering with poor digestion indicated by indigestion and bloating after eating as well as malabsorption of foods and nutrients. It also aids in relieving constipation particularly in chronic cases. The root will help to ease the issues common with a sluggish liver such as fatigue, irritability and anger, hormonal imbalance, repressed emotions, headaches and skin issues like eczema and other eruptions. Dandelion root works well in combination with burdock root. Dandelion has many names among them piss-a-bed (pis-en-lit in French) due to its diuretic properties and “dent-de-lion” in French because the leaves look like the teeth of a lion. Dandelion leaf is high in potassium which can help to replace potassium loss that occurs during diuresis unlike conventional diuretics which leach potassium from the body. This makes it a wonderful and safe diuretic that increases both the amount of fluid and urine waste excreted by the kidneys.3 The leaves and spring harvested roots4 are used in cases of water retention, urinary infections, kidney stones and gout. The leaves are also highly nutritious and make a tasty green that can be added to salads, steamed or sauteed. Dandelion is a wonderful plant for women! According to herbalist Rosemary Gladstar dandelion is high in plant estrogens and the root has necessary nutrients that the liver needs to help “regulate and normalize hormone production.”5 Dandelion root can also help alleviate PMS, cramping and digestive issues experienced prior to menstruation.6 It’s diuretic action is used to help ease premenstrual fluid retention accompanied by bloating and breast tenderness as well as fluid retention during pregnancy. The combination of liver and kidney support along with the wonderful nutrients dandelion leaf provides help to prevent and assist in healing pre-eclampsia during pregnancy.7 Dandelion’s roots and leaves act as a nourishing galactagogue gently and safely increasing milk flow for baby. The root’s liver supporting and thus hormonal balancing effects along with the the leaf’s diuretic property greatly benefits women going through menopause. The milky white latex present in the stem is wonderful for shrinking warts. Apply it fresh several times per day for best results. Dandelion is generally considered to be very safe with “no known toxicity.”8,9 However, dandelion is contraindicated in acute inflammation or blockage of the gallbladder and intestines due to it’s stimulating effect on these organs.10 Gallstones and kidney stones present a painful and sometimes serious issue, please work with a knowledgeable practitioner to help resolve either of these issues. And Rosalee de la Forȇt explains that “dandelion’s strong diuretic activity makes it an inappropriate choice for someone with low blood pressure or excessive urination.”11 The milky latex may cause skin irritation upon contact. Also folks who are allergic to plants in the Asteraceae family should be aware that dandelion is in the same family and may cause allergic reactions. 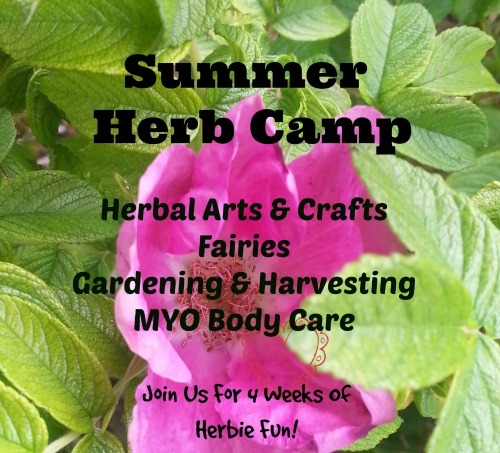 I love Learning about herbs, do you? Here Is some more dandelion Information from various herbalists and bloggers for your herbie enjoyment! Please Note: This post contains affiliate links that help to support the work I do here on Mama Rosemary. For more information please visit my affiliate page. Thank you for visiting and for your support.